Back in August, actress Susan Sarandon confirmed rumors that John Turturro was resurrecting his Jesus Quintana character from The Big Lebowski by posting the first set photo from this spin-off, titled Going Places. Today, we have the first official photo with this iconic cult character back where he belongs, at the bowling alley. We also have the first official synopsis for Going Places, which you can read below. IndieWire reports that no release date has been set for Going Places, which was originally entitled 100 Minutes with Jesus. The film is inspired by Bertrand Blier's 1974 French film Les Valseuses. John Turturro also wrote and directed the film, while starring as the iconic Jesus. The actor/filmmaker received the blessing of The Big Lebowski directors Joel Coen and Ethan Coen. The cast also includes Bobby Cannavale, Susan Sarandon, Audrey Tautou, Sonia Braga, Gloria Reuben and J.B. Smoove. Sidney Kimmel, John Penotti, Robert Salerno, Fernando Sulichin and Paul-Dominique Vacharasinthu serve as producers. The project doesn't have a distributor or a release date at this time, with production still under way in New York City. It is believed that the project will be presented to potential buyers at the American Film Market which starts next month in Santa Monica, California. 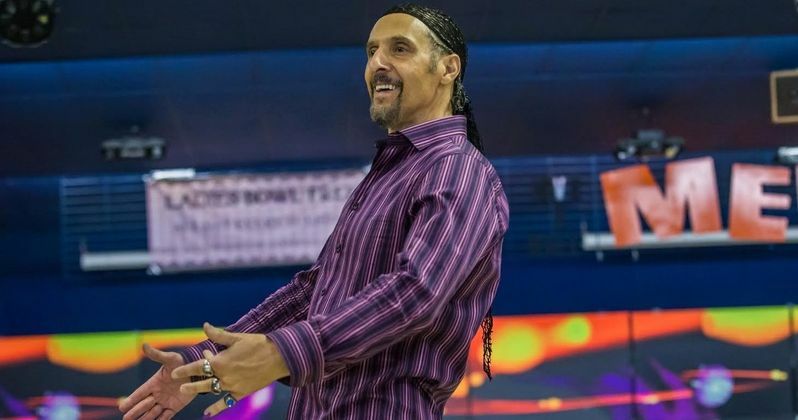 In The Big Lebowski, Jesus Quintana was a bowling rival of The Dude (Jeff Bridges), Walter Sobchak (John Goodman) and Donny Kerabatsos (Steve Buscemi). Jesus' team meets The Dude's team in their bowling league semi-finals, where he keeps antagonizing The Dude, Walter and Donny. At one point in the movie, Walter claims that Jesus is a "pederast," having served six months in Chino for exposing himself to an 8-year-old. Take a look at the first official photo from Going Places below.